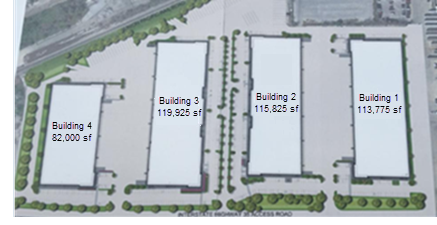 ​​ SAN ANTONIO – The 431,525-sf Pan Am West Industrial Park is being developed by Stonelake Capital Partners at 3319 I-35 Frontage Rd. The 25.5-acre project, east of the AT&T Center, will include four one-story industrial buildings ranging in size from 82,000 to nearly 120,000 sf, featuring 28- to 30-foot clear heights. According to Stonelake's website, the project will break ground in August 2018 and could be completed as soon as second quarter 2019. The development will cost an estimated $16.8 million to build, according to the Texas Department of Licensing and Regulation. The Pan Am West Industrial Park will double the amount of Class A industrial space under construction in the Northeast submarket. ​See also​: San Antonio-New Braunfels Industrial Market Research​.